For families with Alzheimer’s, celebrating the holidays can require a little extra effort. You want to involve your loved one living with dementia in holiday events, but you want to do it in a way that is appropriate for his or her needs. If you’re the main [caregiver] in the family, it’s also very important that you practice good self-care and don’t try to take everything on yourself. Keep reading for tips to plan activities and buy gifts for people living with dementia. Remember to tailor your approach to how progressed your loved one’s Alzheimer’s is. For someone in the middle-to-late stages, you’ll need to make bigger changes to accommodate his or her needs. For someone earlier on, you don’t want to overdo it and cause him or her to feel embarrassed or diminished. If you have relatives coming who aren’t aware of your parent’s condition, let them know what to expect in advance to avoid any awkwardness. 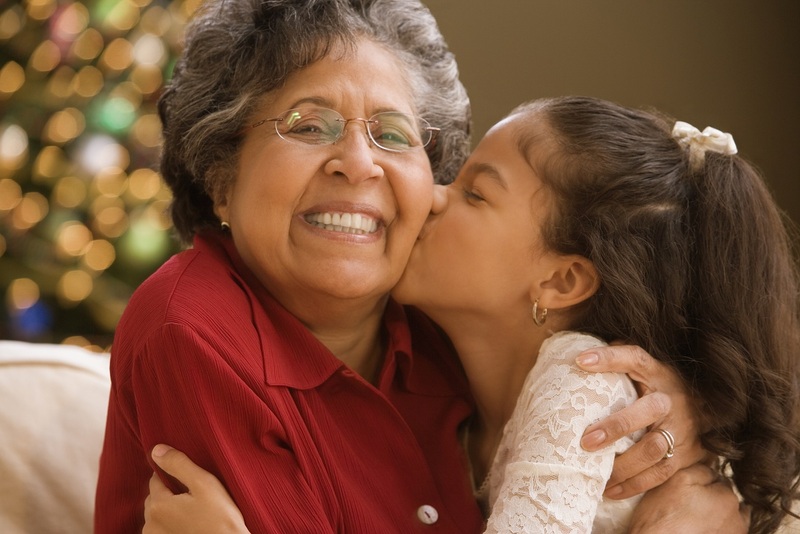 Likewise, talk to children ahead of time so they understand that Grandma or Grandpa may act strangely or seem confused at times but that they are still the same loving grandparent. Don’t be afraid to ask for help from siblings, spouses, and other family members—you don’t have to tackle this all on your own. Both for the sake of your loved one living with Alzheimer’s (who may get easily overstimulated or agitated) and for your own sake as the family [caregiver], give yourself permission to pare down decorations, traditions, and even your guest list. It’s okay and makes sense to evolve your typical celebration to meet the needs of your changing family. Unfamiliar environments can trigger disorientation in seniors living with dementia, so hold celebrations at a location your parent knows, such as your home or a favorite restaurant. As a further step, take precautions to prevent falls and schedule festivities during the day. Evening hours can trigger “sundowning,” a set of behaviors that includes agitation, confusion, and hyperactivity. Though she may not recall it later, involving your mom in party planning shows her you care and helps you feel better as a [caregiver]. Ask her what her favorite traditions, songs, or dishes are. You can also take her shopping to pick out gifts she can give to family members. If this is too much for her, buy gifts yourself and have her help with wrapping. Individuals with Alzheimer’s tend to enjoy paper and other tactile experiences. As mentioned, tactile experiences can make great activities for adults with Alzheimer’s. If you’re writing holiday cards, ask your parent to help with a single tactile task, such as stuffing envelopes or applying stamps. Singing is another great activity: it’s joyful and the ability to sing tends to endure longer than others. You can also watch favorite holiday movies together, or look at old photos—just resist the impulse to quiz your loved one on his or her ability to remember details. For someone in the early stages of Alzheimer’s, pause before buying him or her memory aids (e.g. label machines, automatic nightlights, etc. )—depending on the person, this might feel like a reminder of his condition. An alternative might be to take him or her out to their favorite restaurant or, if they love the theatre, go to see a play. In the later stages of Alzheimer’s, you might choose comfortable clothes that are easy to remove, such as a sweat suit, or something to stimulate the five senses, such as a scented lotion, fuzzy blanket, or favorite music and an easy-to-operate device to play it on. Perhaps most importantly, don’t forget to take care of yourself. Let go of perfectionism: don’t try to do everything yourself or worry if it doesn’t all go as planned. Be kind to yourself and schedule time just for you to do things you enjoy.